CnX Player is a powerful & efficient video player app for iOS – iPhone & iPad designed to give smooth playback of 1080p, 4K 10-bit HDR content. It plays popular video formats (MKV, TS, Webm, MP4, XVID, AVI, FLV & more) and supports all video codecs (HEVC, VP9, VP8, H.264 & many more). CnX Player Hardware acceleration enables its users longer hours of viewing. Easy accessibility of videos and Wifi Video transfer feature is a true bliss for iOS users. CnX Player lets you watch, store, manage and share your videos. CnX Player is a must-have for those who appreciate high-quality video! 1. HIGH-PERFORMANCE PLAYBACK CORE: 4K and HD playback of H.265 aka HEVC and H.264 aka AVC and VP9/VP8. 2. VIDEO CASTING: High quality smooth video casting from iPhone and iPad to Big screens via Apple TV, ChromeCast, Amazon Fire TV with support for remote control. 3. 10 BIT VIDEO CODECS: Optimized 4k 10bit HEVC, H.264 and VP9 for a high-quality professional playback. 4. LONG BATTERY LIFE: HARDWARE ACCELERATION with highly optimized implementation of software video codecs lead to less battery consumption and hence long hours of viewing. 5. WIFI TRANSFER: Upload/download any video file wirelessly to your iPhone & iPad from another device irrespective of OS or vice-versa. 6. AIRDROP: Transfer videos from other application to CnX Player storage and vice-versa. 7. BROWSE LIBRARY WHILE PLAYBACK: Quick access to the videos in library while playing videos in parallel. 8. ITUNES AND CAMERA VIDEOS: Play all the videos including iTunes and Camera Videos at one place. 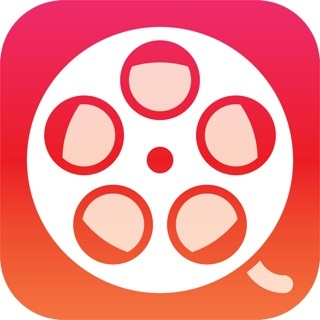 You can download iTunes and Camera videos in CnX Player app directory. 9. MANGE VIDEOS: Mange your video library with editing features like rename, delete, move and copy. 10. INTUITIVE USER INTERFACE: Great ease of video access by viewing them in Folder view, Album view and List view. 12. VIDEO FORMATS: MKV, MP4, 3GP, MOV, AVI, TS and many more. 13. VIDEO CODECS: VP9, VP8, H.265 (HEVC), H.264 (AVC), VC-1, MPEG-4 & MPEG-2. 14. AUDIO CODECS: AAC-LC, HE-AACv1, HE-AACv2, MP3, MP2, MP1 and Ogg Vorbis. 15. VIDEO FILTERS: Adjust video Saturation, Contrast & Brightness. 16. VIDEO SCALING aka ASPECT RATIO: Auto, Crop and Stretch video. 17. HISTORY: Maintains history of videos played. Manage history at your convenience. 18. SUBTITLES: SRT, SAMI, PGS, Timed Text & SUB. 19. COLORFUL THEMES: Experience video playback in multiple colour themes. 20. REPEAT MODES: None, One and All. 21. QUICK-SWITCH VIDEO DECODER: Quick switch video decoder from hardware to software and vice-a-versa. 22. VIDEO ACCESS: Easy access video library using sorting and search. * Ultra fast HEVC and VP9 Video decoders for HD playback. * Enabled Dolby AC-3 Audio decoder. * Plays MKV, AVI, VP8 , TS, MP4 and many more. This app is god. It plays every playable format with excellent visual quality with no distortion. It connects to all of my devices like chrome cast, fire stick and even my Apple TV. I love it and recommend you using it. Please allow background audio playback. Thank you for your feedback. We will surely explore the option for adding background music to the app. Please do try out CnX Player on Windows 10 and Android as well !